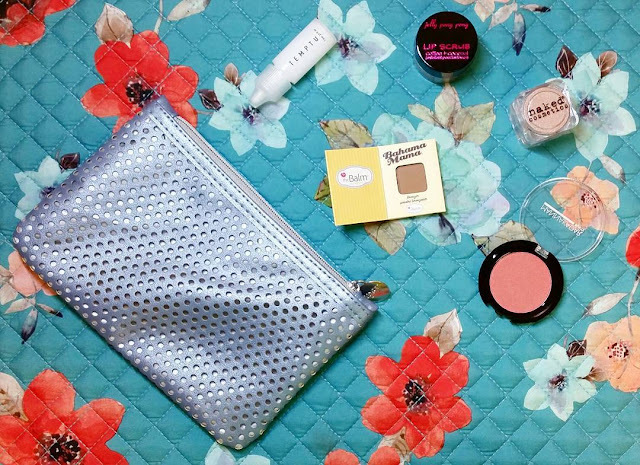 IPSY is a beauty subscription service that sends you an assortment of four to five beauty items in a cute, decorative bag for $10.00 USD. To see what came in the January 2017 Glam Bag, then read this article. 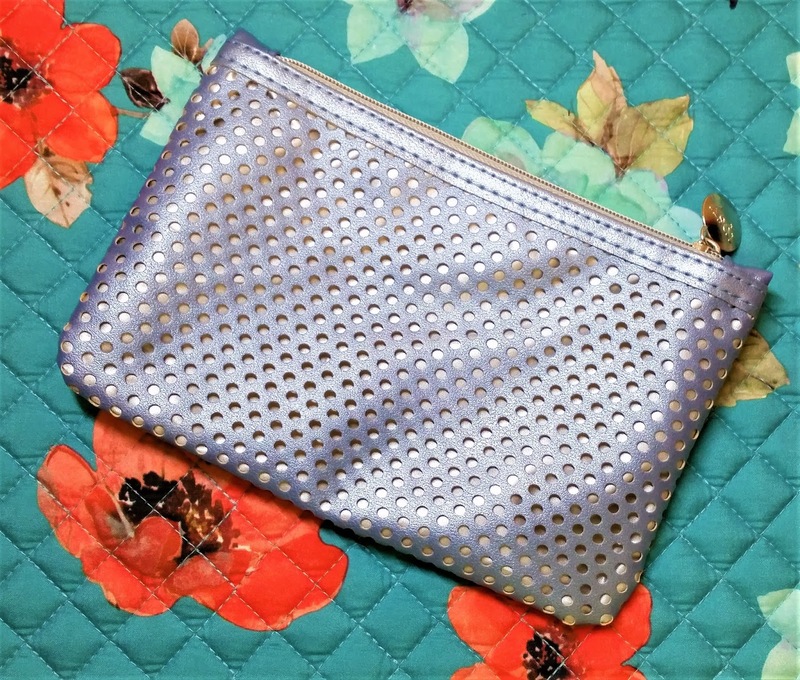 It’s that time of the month again for the unbagging of the IPSY Glam Bag for January. For the most part, I loved what I got in my bag and didn’t have any major dislikes. It was more along the lines of I didn’t like that particular color or taste, but still really liked the product. 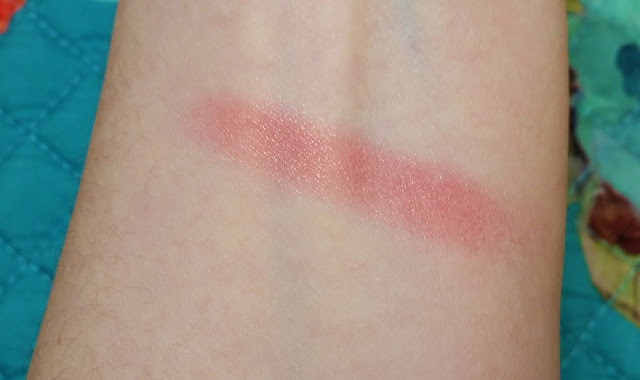 This time, I didn’t get any skin care items that needed a testing period, so I was able to get this post up much earlier than I normally do. But like the December Glam Bag unbagging, I’ll include any brand codes at the bottom of the page. Metropolis is the theme for January, so it’s an on-the-go city style theme that’s sleek and simple - just like the bag. The January Glam Bag is a duo-layered fabric bag. The second layer of the bag that’s holding your products is this gray, raincoat type material and the layer on top is a blue, faux leather mesh. It’s simple, but I love leather mesh, so I like this bag. 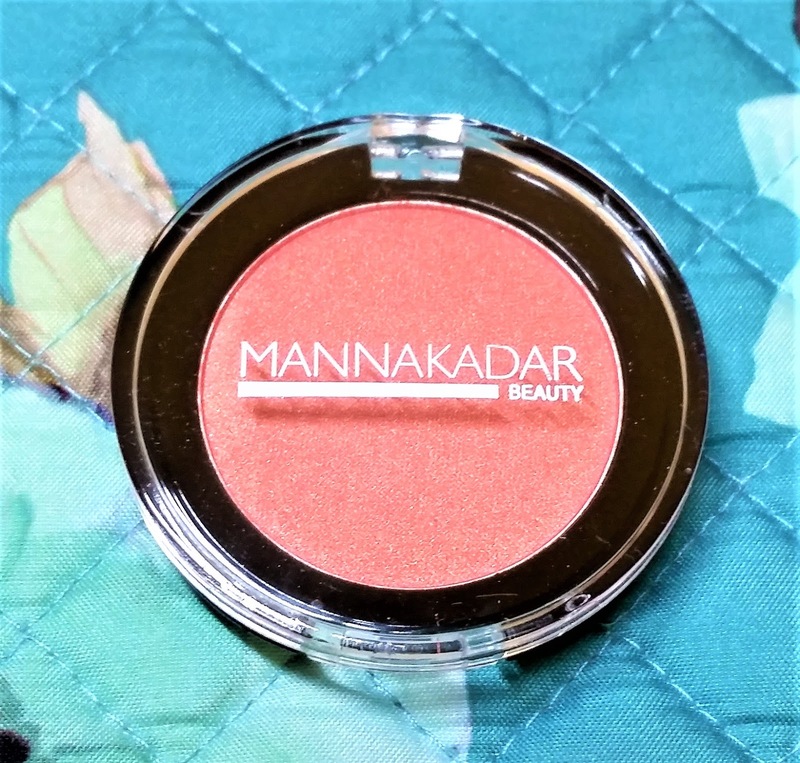 The first item in the bag is the Manna Kadar Cosmetics Paradise Pearlized Blush which is a brand that mostly focuses on multi-functional makeup products. This shade, Paradise, is a warm, apricot pink with what looks to be like a gold pearlized finish. It’s supposed to give a glowy finish while being a universal shade that works for all skin colors. I’m strictly a matte blush user because my cheeks are where my skin is the most problematic, so I personally wouldn’t use it in that way. 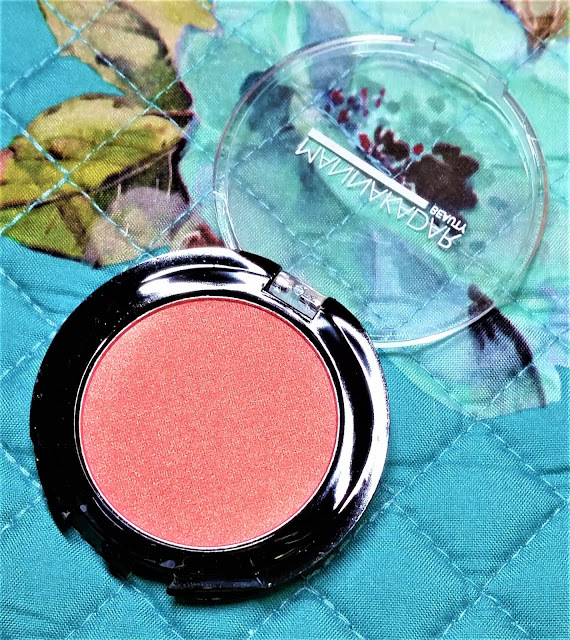 However, this blush is pigmented so it can double as an eyeshadow, which is Manna Kadar's intention. 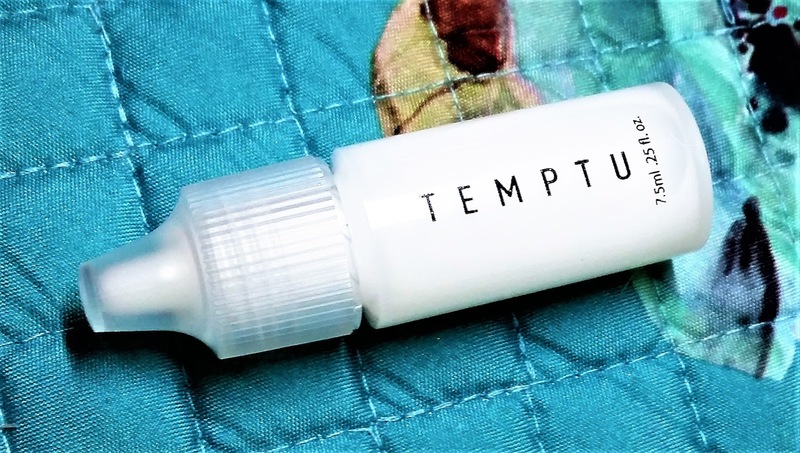 Next item is the Temptu Base Smooth & Matte Primer, a brand that’s most known for their airbrush makeup system that they came out with back in 1996. The claim for the primer is that it’s not too greasy nor too heavy, but leaves your skin feeling silky smooth without residue. It’s supposed to improve the longevity of your makeup, and one swipe minimizes shine and the look of pores. Personally, I think face primer can be difficult to test, especially if you use a foundation that’s so good that it almost doesn’t matter what you use underneath. I went ahead and did it anyway. For the test run, I just wore the primer and then the Kat Von D Lock-it Foundation, which is a full coverage 24 HOUR wear matte foundation. In my oily skin’s case, I wouldn’t call it 24-hour wear, but this is one of the top foundations for oily and problematic skin. During application, I definitely noticed that it doesn’t feel greasy or heavy. It’s not a consistency that’s crazy thin, but it’s a little bit runny. Once that primer is patted and rubbed into the skin, it does leave it feeling quite soft. There’s not a silicone feel that you normally get from other mattifying and pore perfecting primers. With the foundation on over the primer, my skin does look fairly poreless, but the pores on the apples of my cheeks are still visible. This is a problem I face every time I get into a foundation, they’re just really hard to cover up for some reason. Aside from that, it looks good. Something I noticed right away was that the foundation was sticking to my nose a lot better. Aside from various parts of my cheek, there’s a region on the side of my nose that normally doesn’t take makeup that well. It's not too noticeable because it's in a shadow, but it makes contouring very difficult so I don't do it. The primer seemed to remedy that though. Plus, my foundation was still looking good after a good eight hours of wear. 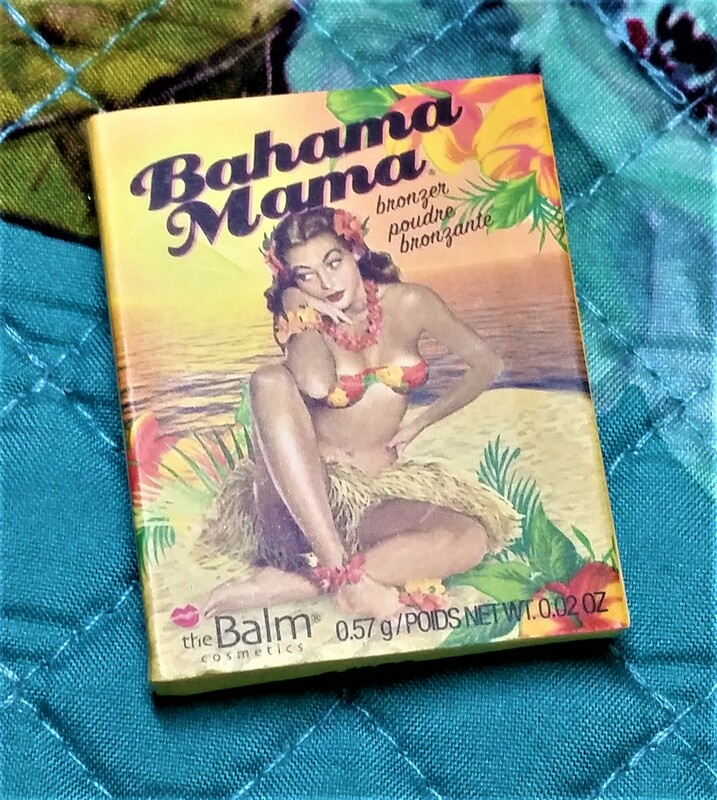 The third item in the bag is the theBalm Cosmetics Bahama Mama Bronzer, Shadow and Contour Powder. 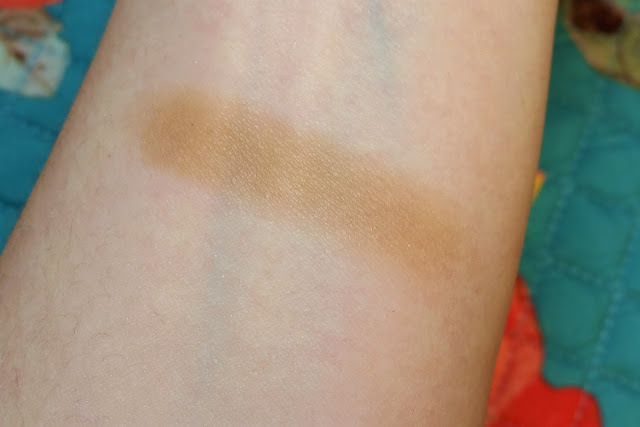 I’ve gotten other products from theBalm through IPSY - one being eyeshadow shade Matt Kumar from the Matt(e) Trimony Eyeshadow Palette. TheBalm is honestly one of my favorite brands. My favorite thing about the brand is their vintage, pin-up packaging that’s so cute. Just like Manna Kadar Cosmetics, theBalm also has a focus on making makeup products that are multi-functional. 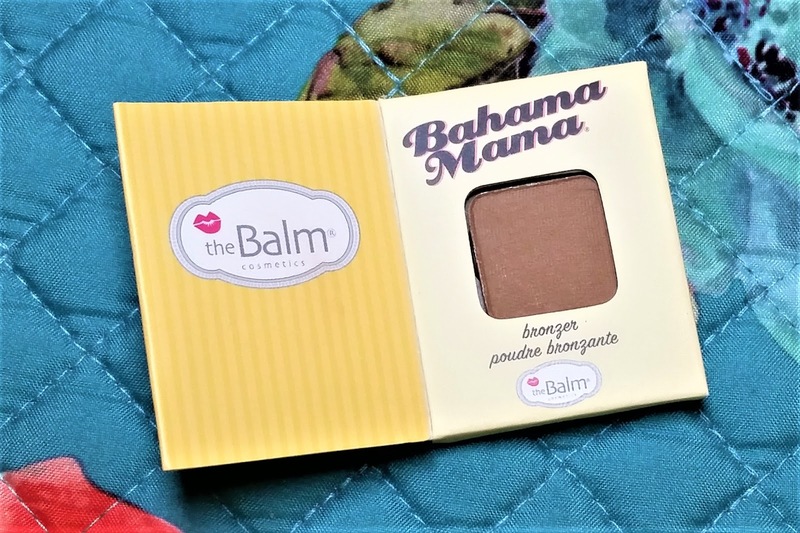 Bahama Mama’s primary use is as a bronzer, but it can be used as an eyeshadow and a contour powder as it’s neutral to cool matte brown. 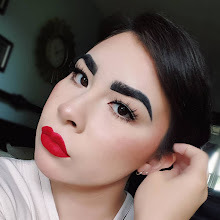 If you don’t have black hair like I do, you can use it as a brow powder as well. I’ve heard about Bahama Mama for a while now and after trying it, I would recommend it. It’s pigmented, blends easily, and it maintains its multi-functionality by being a cool brown that can mimic a natural shadow. The next item in the bag is the Jelly Pong Pong Coconut + Coffee Lip Scrub, a hypoallergenic and noncomedogenic brand. This is a shea butter based lip scrub that’s formulated with pure golden sugar, jojoba, and rosehip oil, so this is super moisturizing and edible. You only need about a pea-size amount of product that you can buff in with your finger. If you have very dry, cracked lips like me, they recommend using a toothbrush in conjunction with the scrub. It gets the job done, but I would prefer it to be more gritty because the formula of the scrub is so thick. Great for moisturizing the lips, but the thickness seems to make the exfoliating less effective. You might have to use a toothbrush with the scrub, even if your lips aren’t that bad. The one thing I don’t like is the coffee and coconut flavor. It’s such an unusual combination of the two flavors I hate the most. I don’t want to seem like I’m being over-dramatic, but I HATE the taste of coconut and anything that’s coffee-flavored that’s not coffee, so the taste and smell is nasty to me. If they ever come out with this in a different flavor, I would consider buying it. 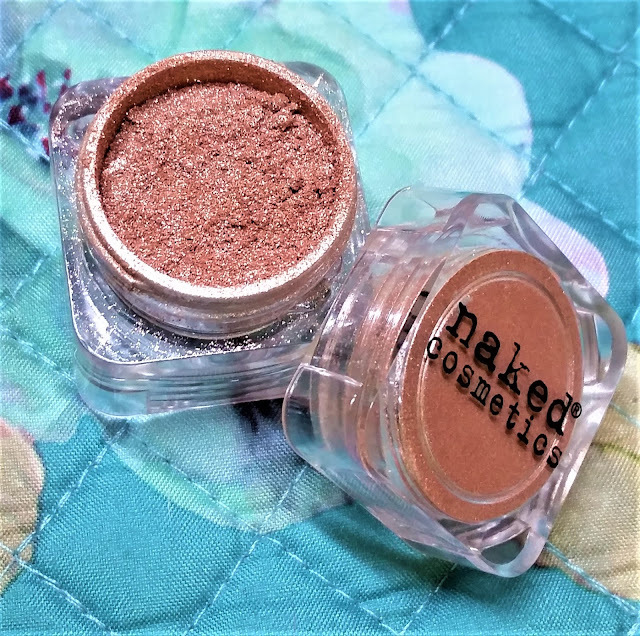 And the last item is the Naked Cosmetics 'Desert Sunset #02' Mica Pigment, which I’ve reviewed their Advanced Aloe Cream before in a past unbagging. This is the second Mica Pigment I’ve gotten from them - the first being a shimmery beige shade called Sierra Nevada #02. The Mica Pigments are rich colored loose pigments that can be used on the eyes and the rest of the face. These can be either be bought as singles or in a set of six. You’ll notice that the Mica Pigment shade names are comprised of a name and a number. The name refers to the set (or collection) they’re part of and the number (normally 01 through 06) specifies what color it is within that set. Finger swatch of Sierra Nevada #02 (top) and Desert Sunset #02 (bottom). Desert Sunset #02 is a shimmery pink champagne shade that can be used on the eyes or can double as a highlight with a light application if you’re of a lighter complexion. I say LIGHT cause these are loose pigments, which are naturally very pigmented. For those with a deeper complexion that want to use it as a highlight, you can definitely go heavier on the pigment. To get the full-color impact of these pigments, you can pack these on with a packing brush or apply them wet. 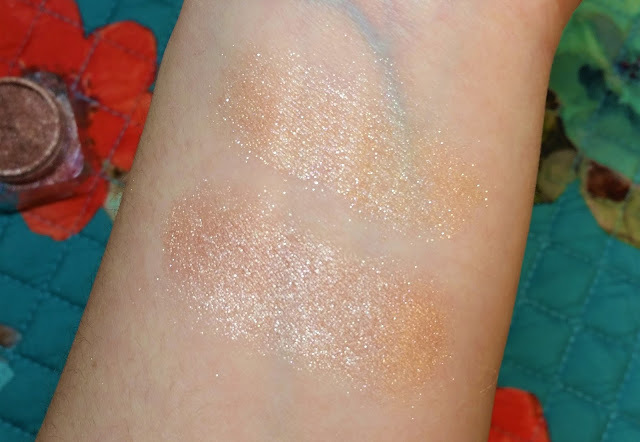 So far, I’ve loved the products that I’ve gotten from Naked Cosmetics and would recommend these Mica Pigments. If you're interested in signing up for IPSY, you can sign up at www.ipsy.com.